A very effective tool to assist with the cleaning of natural stone and tiles. 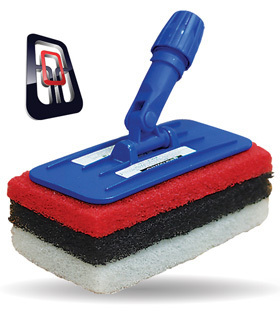 A set of 3 graded scouring pads attached to a multi directional head that can be easily attached to a broom handle. From heavy to light cleaning, there’s a pad in there to do the job.